In-line light & cable connector. 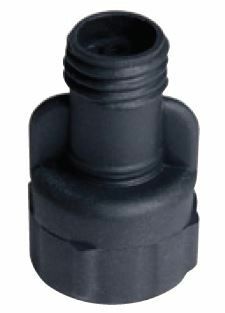 Screw into 12 volt main cable anywhere along the length, connector penetrates 12 volt 'plug & play' main cable creating an additional weatherproof lighting outlet. 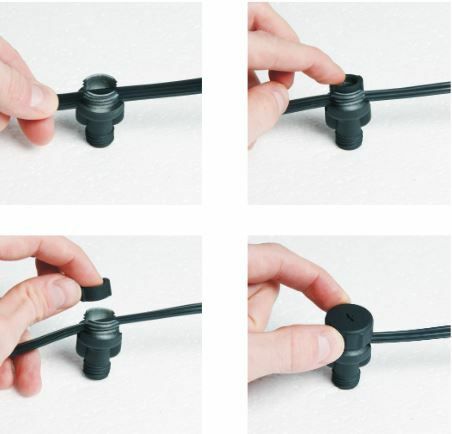 This connector can be used with cables supporting a maximum lighting load of 120 watts. 6m Extension Cable - 120w max - adds outlet connections to extension cable. 10m Cable (4 Connectors) - 120w max - adds additional outlet connections to cable.